"One of the great things about any deployment that our task force goes on is to be able to make a difference in someone's life," Fairfax County Fire Assistant Chief Chuck Ryan said. 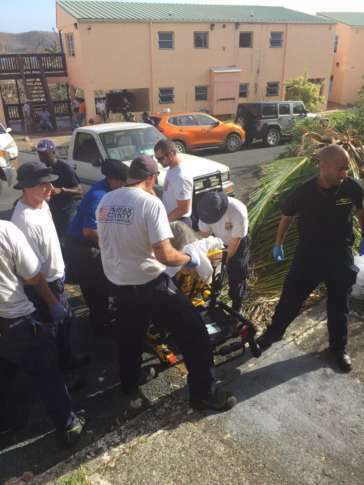 WASHINGTON — D.C.-area first responders in the Virgin Islands, as part of the FEMA response, rescued a woman Tuesday who’d been trapped since Hurricane Irma hit last week. 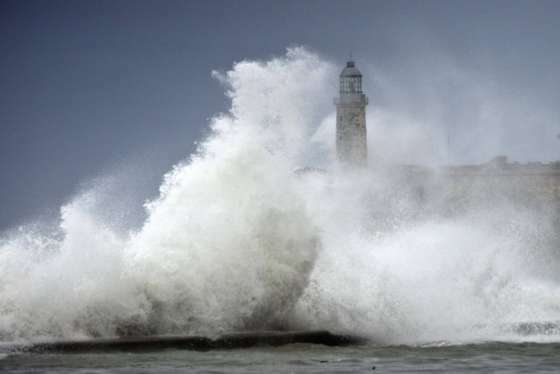 One of the rescue squads was performing search and rescue activities on the island of St. Thomas when neighbors alerted the team to “a critically ill, elderly woman who was trapped in her home as a result of storm-related damage,” Fairfax County Fire Assistant Chief Chuck Ryan said. Speaking for Virginia Task Force 1, Ryan described the team accessing the home and giving the woman immediate medical assistance before managing to extricate her safely. About 40 Virginia Task Force 1 team members are on St. Thomas. Some team members are positioned in San Juan, Puerto Rico, providing support logistics for search and rescue efforts. Also, the Army Corps of Engineers is working to assess conditions at St. Thomas’ main medical facility, the Schneider Regional Medical Center, while support teams for emergency patient care are airlifted in. The Corps is coordinating the shipment of a 750-kW generator to St. Thomas to assist in restarting the island’s power plant. A generator that size supplies power that’s roughly equivalent to a small power sub-station transformer, according to Dominion Energy spokesman Danny Register. Also assisting humanitarian relief in the area are U.S. ships: the USS Wasp, USS Kearsarge, the USS Oak Hill and the USNS William McLean. And as of Tuesday, the SS Wright was being loaded with FEMA containers to be taken to St. Thomas. There were approximately 10,000 Department of Defense personnel on Puerto Rico and in the U.S. Virgin Islands as of late afternoon Tuesday, according to the DOD’s website.